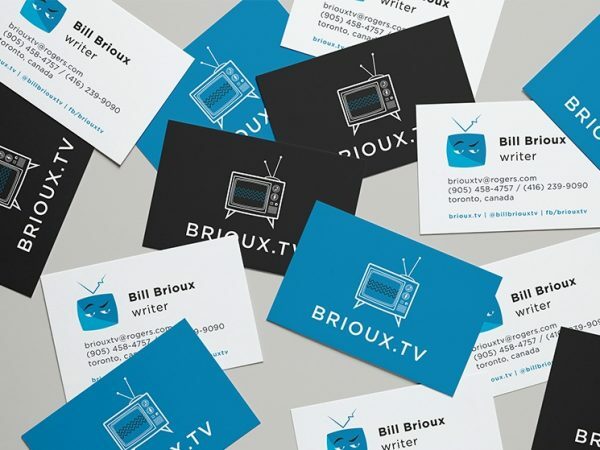 Katie Brioux designed these business cards for Brioux.tv, a television news site. Its owner, Bill Brioux, is an author and established writer from Toronto who writes about all things Canadian media & television.  The business card design matches the website, which were designed holistically. The main logo appears on the front side of the card with either the blue or onyx colours from the brand palette. The TV (in the logo) isn’t a fancy flat screen TV that you’d more likely see these days, but the illustration of an older TV, from the 1960’s, to show that Brioux had been on the TV scene for many years now – keeping up with current TV, and a walking trivia machine for all classic films & television. On the info side, you have the standard contact information, social media profiles, and then a little eyebrow-raising TV character—just to add some personality to the brand.